I’ve been out of commission for a while, but I’m back… and currently on a difficult yet temporary dairy free journey. Since ice cream is one of my favorite food groups, I’ve been in search of dairy free desserts. Haagen-Dazs sorbet has been my friend, as well as coconut milk mint chocolate ice cream – no dairy and actually quite delicious. Since homemade cookies and cakes all have butter, they’re out for the time being. I came across olive oil cakes in my online search and decided to give one a go. I would call this an adult cake. Not too sweet with a delicious hint of fresh orange. 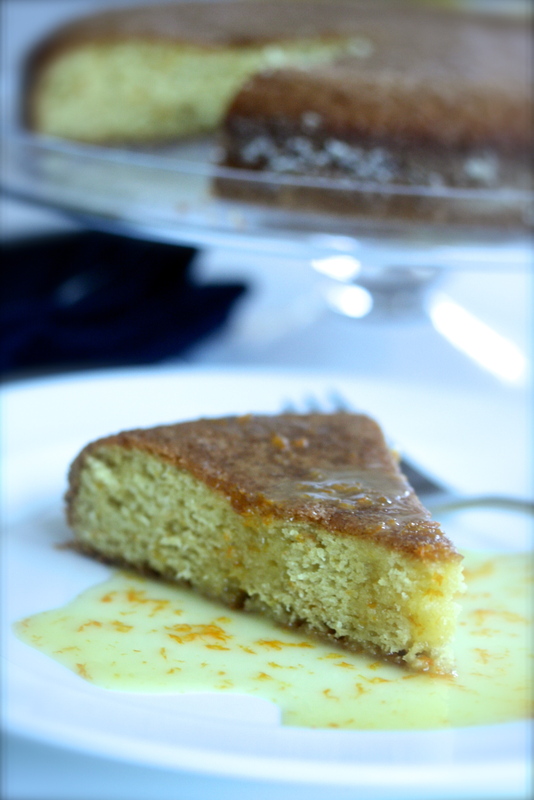 It has an almost corn bread consistency and is fantastic with a cup of coffee. This recipe was adapted from Melissa d’Arabian from the Food Network. I don’t follow her and was pleasantly surprised at how good this cake was. You can throw this together in minutes. Some of the other orange olive oil cakes I came across required simmering oranges on the stove and other more cumbersome steps. 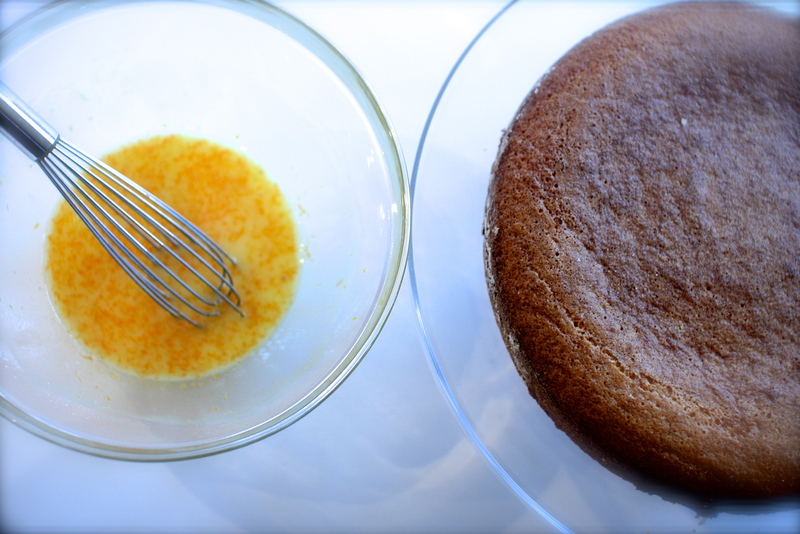 I made a sugary sweet orange glaze to drizzle over the cake. You could sprinkle powdered sugar over the top as well. Or just eat the whole thing plain. Either way, it’s a keeper, dairy-free or not. Preheat the oven to 350 degrees. Grease and flour a 9-inch round cake pan. In a medium bowl, whisk (I don’t sift anything) the flour, baking powder, baking soda and salt together. Set aside. In the bowl of a stand mixer, using the paddle attachment, mix the sugar and eggs until they are well-blended and light in color. Add the olive oil and vanilla, mix until smooth. 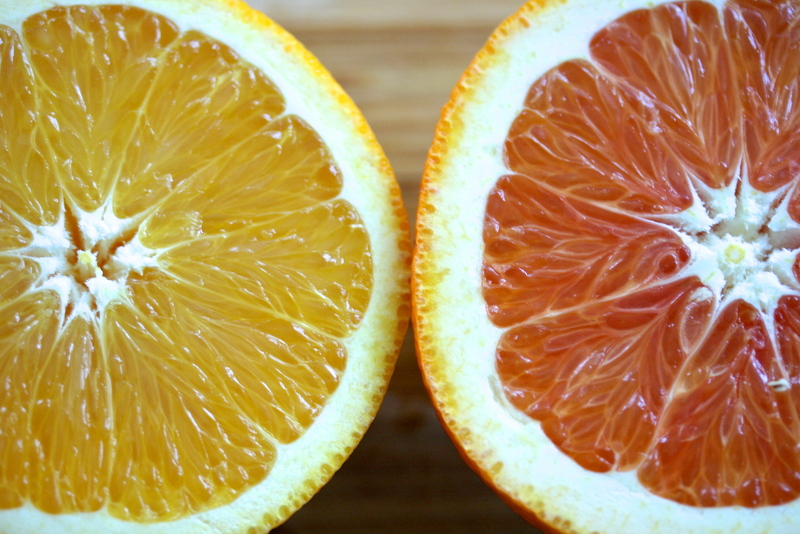 Add the orange juice and zest, mix. Add the dry ingredients in two parts, mixing on a low-speed until just combined. Pour the batter into the prepared cake pan and bake for about 20-25 minutes, until golden. Test with a cake tester if needed. Allow the cake to cool for 10 minutes and transfer to a cake plate. Whisk all the ingredients together to combine and serve alongside the cake. I refrigerated the remaining glaze and it last a couple of days. You just need to give it a whisk before using.